In 2018 our 100% volunteer fire department responded to 605 calls. In addition to responding to calls our members gave time to help with public education, training, and making sure our equipment and apparatus is ready for every call. 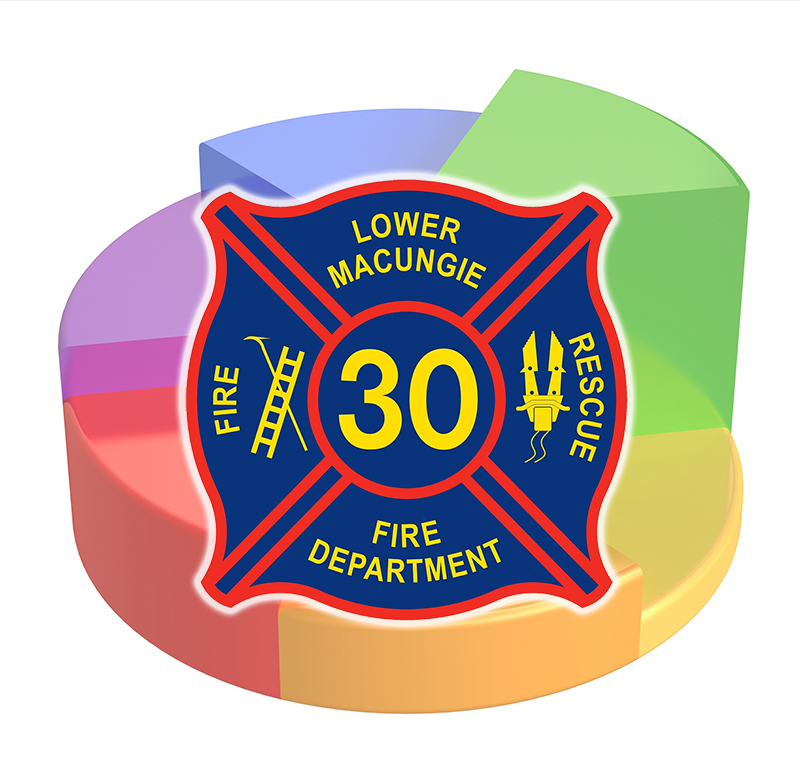 Below you will find highlights and in-depth analysis of the time and effort that goes into operating the Lower Macungie Fire Department. *1 = Includes faulty carbon monoxide (CO) detector activations of which there were 14 (17 in 2017). *2 = In 2017, the LMFD operated as one single station; meaning both Wescosville and Brandywine Stations were dispatched together on all calls. In 2018, we separated the 2 stations and they were dispatched independently of one another as is the fire-police component of the Department. The 2018 total is the average turnout per incident per individual station (excluding fire-police). Fire-police average 4 members per call dispatched to. *3 = In 2018, as a result of the merger decision, the Alburtis FD role in LMT was vastly expanded in order to mimic the post merge response set up. This allowed LMFD and AFD to begin working together immediately out in the field on emergency responses in order to get better acclimated with one another. This is why you see a 136% increase of AFD into LMT.